Our shop has been successfully built on three generations of pet groomers who believe in the respect and care of animals above all else. We produce quality work; never rushed and with expert technique. We offer bundle options because we do not believe you should be charged for every individual service your furry friend requires. Here's what our clients say about our shop! "My dogs have been coming to North Pine for 7-8 years now and I couldn't be more pleased every single time!" "One of my puppies had some tartar build up and she got rid of all of it! I was very impressed!" 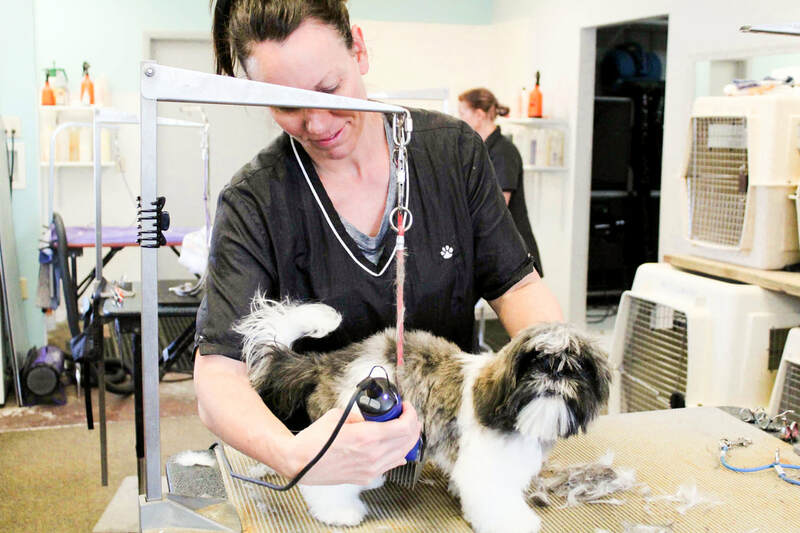 "Thank you North Pine Pet Grooming for taking care of our boy and showing us how to brush him properly! See you again soon!"